WDC’s policy on gender equality stems from the firm belief that women’s rights are human rights. As an organization, it understands the triple role of women where they play a critical role in the following three arenas – reproduction, production and community management. Responsible for completing several tasks in various arenas, women often work much longer days. Consequently, they are often prevented from accessing resources pertaining to health, education, employment and political participation. Even in circumstances where individuals may be able to access such resources, discriminatory practices and a lack of gender balance in roles and responsibilities prevent women from utilizing them. Taking this into account, WDC works from an approach that realizes in order for women to be able reach their full potential they must be given equitable access and control over both knowledge and resources. Gender equality is something WDC strives for both within its organization as well as among the programmes and projects it runs in various communities. Under this policy, the organization will work to ensure that the following aspects are fulfilled and ensured at an organizational level as well as at a grassroots level through the programmes and projects it carries forward in the larger Sri Lankan society. Mainstreaming gender equality into all aspects of the organization and its projects – inclusive of but not limited to the planning, design, selection, implementation & evaluation of all projects and programs. The WDC strongly believes that for any development process to be sustainable in nature it needs to be inclusive of those it aims to assist. With women at the centre of the communities which we aim to empower and uplift we are committed to ensuring the inclusion of their voices in all our development efforts. The empowerment of women also includes their participation in the democratic process and the recognition of women as political actors and leaders. WDC strives fro the acceptance of women who are capable of making decisions as responsible individuals. However, the level of the political participation of women in Sri Lanka is particularly low, which contributes to a gender unequal society. A democratic state requires equal representation of both men and women in the decision making process. Thus, raising the level of political awareness and participation of women in local politics is essential for the democratic functioning of the country. 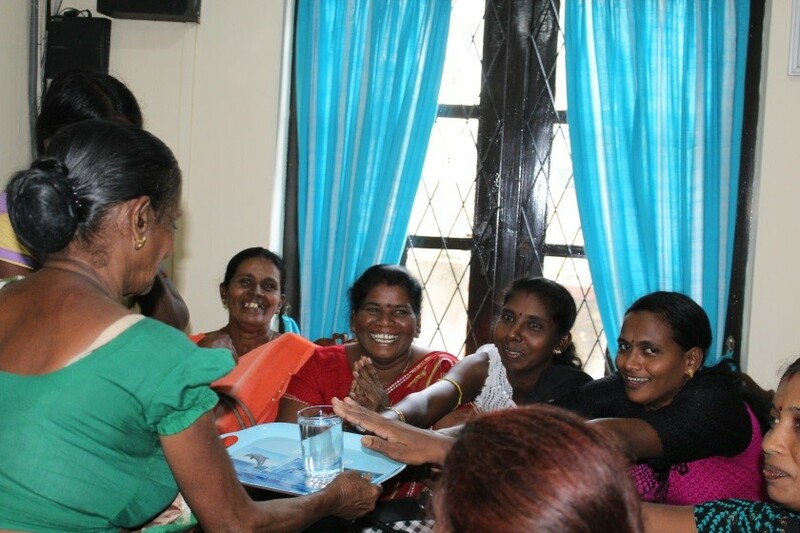 Through its ongoing programmes, the WDC strives to promote good governance and an inclusive democracy within Sri Lanka while working on increased political participation of women and other marginalised groups within society at grassroots level. 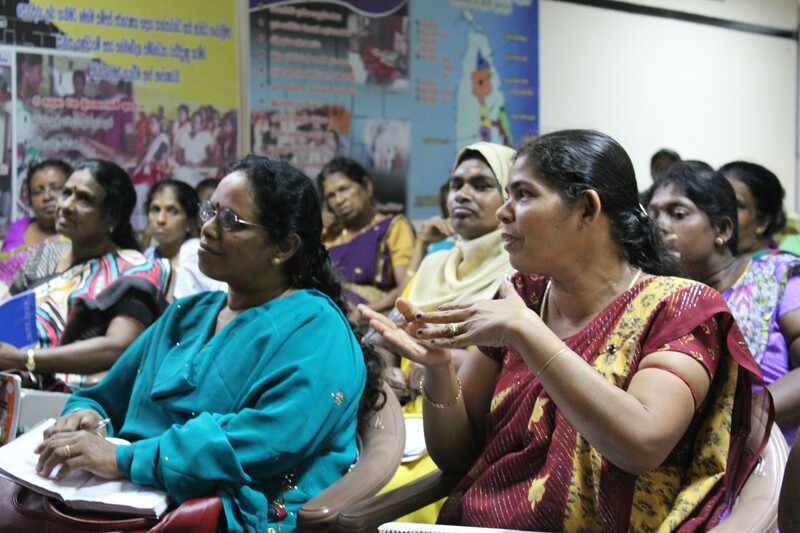 Women’s participation in decision-making is important for the development and implementing of various policies that are beneficial to women, children and marginalised groups. Thus, increasing women’s participation is one way to ensure that women’s needs are heard. Also, through raising awareness on the political process at a local level, women become more informed about their democratic rights, and the gaps that are present within governing structures on tackling issues faced by women and the general community. Environment conservation and sustainability is an important aspect that is taken into account in all WDC activities and programmes. The environment is an invaluable resource available to us that we usually take for granted. Due to our actions and carelessness this resource is at risk of running out, which is why the WDC is actively involved in creating knowledge and awareness on environmental conservation and sustainability to prevent climate change and the threat of global warming. We as an organisation are sensitive towards reducing our carbon footprint in order to contribute towards creating a cleaner environment for the present and future generations. Efforts ranging from the electricity bill to waste management are minor steps that need to be taken. Therefore, partnering with Eco-V – an organisation that advocates for environment sustainability based on principles of Buddhist philosophy – we conduct trainings and workshops to bring about awareness on conscious consumerism and creating a greener environment. In addition, composting projects have been implemented within our various programme areas in order to support the gardening vocational training activities in a cost-effective and environment friendly way. We hope that these small steps towards environment conservation and sustainability would contribute towards minimising the effects of climate change. Women’s Development Centre (WDC) as part of its mandate is engaged in working with women, girl and boy children and youth especially those who are vulnerable. Due to its services to the various categories of girls, boys and youth who are highly vulnerable to abuse and exploitation, WDC underscores the importance of this Child Protection Policy. Therefore, WDC is mandated to commit itself to safeguard the right to protection of all children and young people. It recognises its responsibility to take all reasonable steps to promote a safe environment through its practices and to protect children from harm, abuse and exploitation. Women’s Development Centre acknowledges its duty to act appropriately to any allegations, reports or suspicions of abuse. Paid staff, volunteers, consultants and the affiliated network members scattered in many parts of Sri Lanka will endeavour to work together to encourage the development of an ethos that embraces difference and diversity and respects the rights of children, youth and adults. The child protection policy of WDC recognises that girl and boy children are partners within its programmes and together with them, we enhance the right to protect their personhood. Women’s Development Centre is committed to the belief that protecting children and youth is everybody’s responsibility and therefore the aim here is to provide guidelines that will enable all staff, volunteers, volunteers and the WDC network members to act appropriately to any concerns that arise in respect of a child/young person. Ensure that all staff understand their legal and moral responsibility and accountability to protect children and youth from harm, abuse and exploitation by ensuring that those employed are provided with due orientation on the policy have a complaint mechanism and investigation procedures. Ensure that all staff understands their responsibility to work to the standards working at all times in maintaining high working standards that are detailed in their job descriptions, WDC worker handbook and the CPP. Ensure that all staff are made to understand through proper CPP orientation, their duty in reporting concerns that arise about a child or youth, or a worker’s conduct towards a child/young person, to the Child Protection. Ensure that the designated child protection officer understands his/her responsibility to refer cases of abuse to Child Protection Agencies such as Probation and Child Care Department, Child Protection Authority and the police as is required after due investigation and confirmation of instance of abuse has been established. Ensure that any procedures relating to the investigation on the conduct of workers are implemented in a consistent and equitable manner. Provide opportunities through regular training for all staff, volunteers and the network members to develop their skills and knowledge particularly in relation to the welfare and protection of children and young people. Endeavour to keep staff, volunteers and networks up-to-date with national developments relating to the welfare and protection of children and young people through established linkages to update information from National Authorities.